Meet SHERWIN - The Superb Two-Storey in Shaganappi. 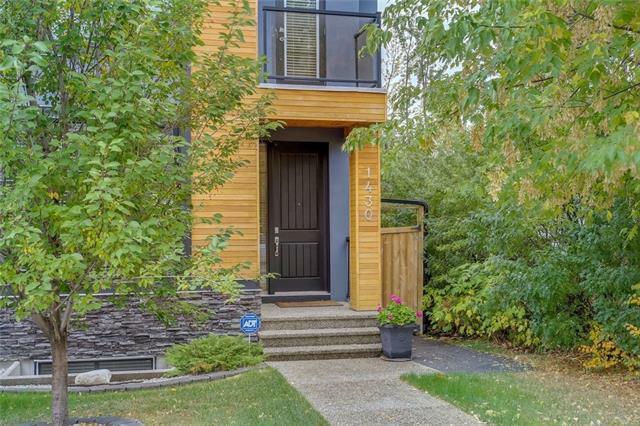 This premium UNIQUE infill is a 3-min WALK to the C-TRAIN and steps from golf, off-leash dog park, playground and tennis courts. 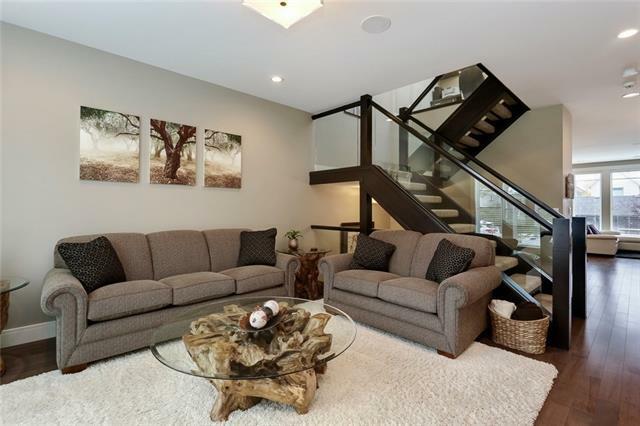 Entering you are greeted with rich HARDWOOD, 9 ft ceilings & GLASS railing staircase. The spotless kitchen has LUXURY appliances incl. 6-burner GAS range, FULL HEIGHT two-toned cabinetry, and beautiful QUARTZ countertop. Flex space at the front & back living room with accent wall. Upstairs youll be wowed by the dramatic VAULTED ceilings and office loft area w/ BUILT-IN desk. 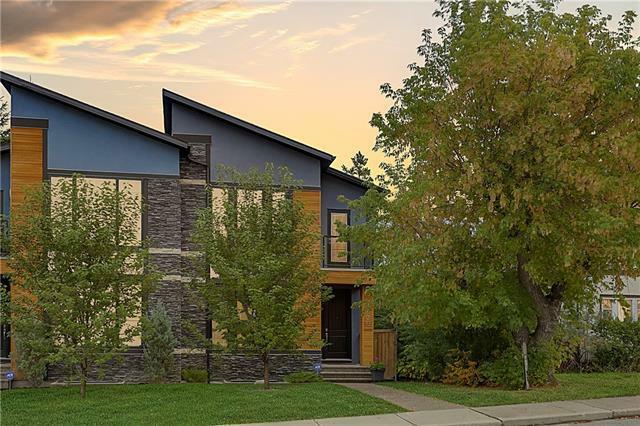 The master retreat dazzles w/ white STONE FEATURE wall, large walk-in closet, and ensuite w/ DOUBLE?SIDED fireplace, jetted tub, and rain shower. Also on this level: laundry, 4-pc BATH and 2 more bedrooms each w/ BALCONY access. 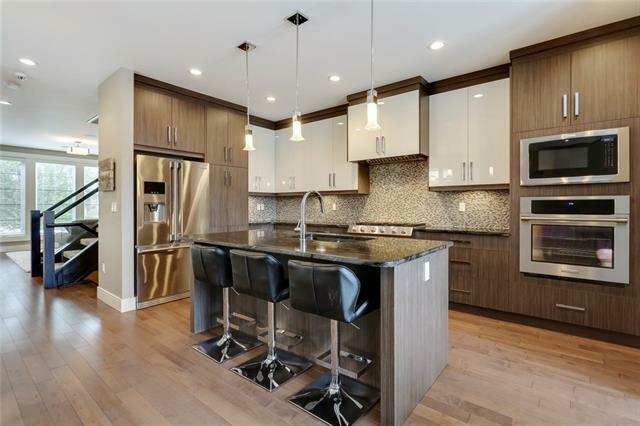 Downstairs entertaining space w/ custom BUILT-INS, WET BAR, 4th bedroom & full bath. Addtnl features: BUILT-IN SPEAKERS, central A/C, built-in closet organizers, gorgeous landscaping, and DOUBLE GARAGE.